Disclosure: This is a partnered post with Reading Eggs. All opinions are my own. When my mother asked me if Kenzie was reading at the age of 2, I almost yelled at her. Apparently, I wasn't guiding Kenzie toward achievement in her eyes. However, I think Mason might be well on his way to early reading while watching Kenzie hone her skills with Reading Eggs. 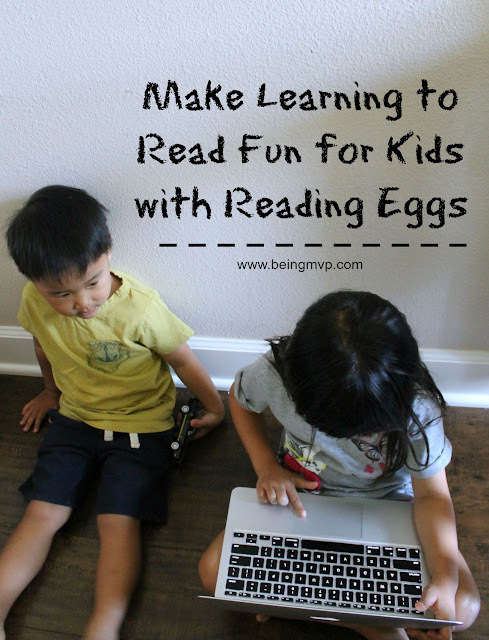 Reading Eggs is an online program which allows children to enjoy learning to read with games and activities. It's geared toward children 3-13 years of age and since there is an assessment they can take to connect to the appropriate level, no guessing on your part on their current skill. Kenzie was excited to get started and I signed up for the free trial and she was ready to start "learning" in mere minutes. 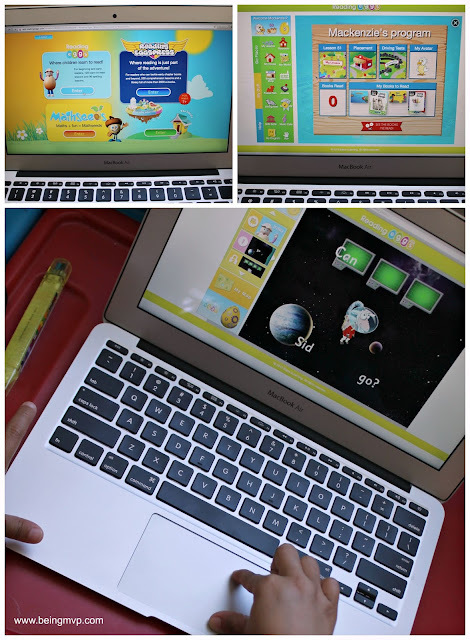 You can use this program on your computer, iPad and Android devices so learning can occur at any and all times! She proceeded to take the assessment quiz and started her lessons accordingly. She didn't need any sort of direction from me and took off like a champ. The Reading Eggs program is pretty straightforward with easy to follow along lessons, puzzles, stories/books, games and more. Even Mason stuck to Kenzie like glue and was "learning along" which is fantastic. The Music Cafe is a fun bonus for kids as they can sing along and learn new songs. The Playroom is so much fun and brings out your child's creative side with crafting, painting, games and more. Kenzie (and Mason) both enjoy the Driving Tests. You select your car and it moves along the track when you answer correctly. The "test" categories are content words, sight words and letters and sounds. Let's just say the kids were entertained for quite some time and it was difficult closing down the program before dinner. 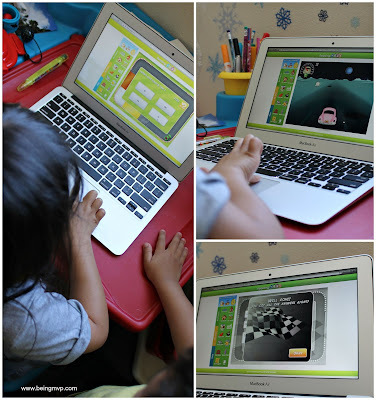 If you are looking for a great learning to read program for your kids with a plethora of activities and features, try out the FREE Reading Eggs trial You will definitely be delighted with the progress they make! That sounds really neat. I love when their are programs to make learning fun! Sounds like it works good too! We used Reading Eggs with my son and he loves it. It was so much fun. I hadn't heard of this before. I love seeing different games that encourage reading and make it fun. I have not heard of this before!! I think my youngest would love this she has been trying so hard to get better at reading. My son is learning to read. I bet he would love being able to play games to learn. I've heard such great things about this! 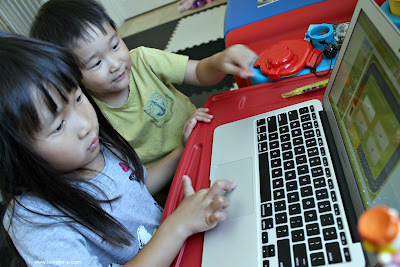 We limit screen time, but do let our son enjoy ABCmouse. May need to add this when he gets older! Sounds super fun!! I love educational programs that are fun and engaging!! The driving one sounds right up my son's alley!! My son is just starting to read, so this would be great for him!